If you know last year TRAI had announced that it will introduce 11 digit mobile numbers, as India is expected to run out of existing ones in less than 2 years time. TRAI had never expected that it will witness such meteoric Mobile subscriber growth. The numbers which were supposed to last till 2030 (as per their planning) are nearing exhaustion 20 years earlier than expected. So now, instead of 11 Digit Mobile numbers, TRAI is proposing to retain the 10 digit format of mobile numbers, but Instead of mobile numbers starting from just 9 & 8, it will open up all the number segments starting from 2 to 9. The side-effect of this would be that, all the existing landline numbers which are currently 7, 8 or 9 digits will all be converted into 10 digits. I think this is a very wise move, especially because landline numbers form less than 10% of all the phone numbers. Instead of changing 500+ million mobile numbers into 11 digits, its better to change minority landline numbers ! Currently, TRAI is in consultation process for this plan and seeking Telecom Industry’s reaction before actually implementing this process. I think better sense has prevailed by retaining 10 digit universal format for landline as well as mobile numbers instead of going for 11 digit numbers. Whats your take? I agree with you, I prefer to stand with my 10 digit mobile number rather than entering an extra digit..
Best solution compromising all includin TRAI, OPERATORS & CONSUMERS would be to announce the digit ‘0’ as a compulsory prefix for all mobile nos. (here 11 digit concept is opened up) also since it is a practice of prefixing 0 before STD mobile nos, confusion would be avoided. And the Trai can allow any nos from 2-9 after the ‘0’ prefix. I WOULD LIKE TO SUGGEST , PLEASE PREFIX 1 FOR LANDLINES ACROSS INDIA, LIKE DELHI STD CODE IS 011, IT SHOULD BE LIKE 0111, SAME WILL BE THE CASE FOR HYDERABAD LIKE 040, SHOULD BE LIKE 0140, I HOPE THIS WILL HELP, SO FOR AS MOBILE SUBSCRIBERS IS CONCERNED, PREFIX 2 SHOULD BE ALLOTED, MEANS NUMBERING WOULD BE INCREASE 10 TO 11….. THERE IS NO PROBLEM AT ALL…. EXISTING LANDLINE SUBSCRIBERs NUBER WOULD BE SAME AS THEY HAVE ….AND MOBILE SUBSCRIBERS GET SAME THNGS…. 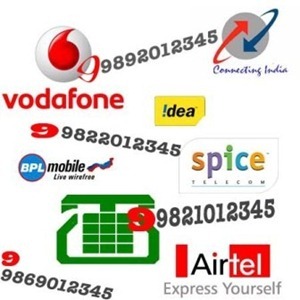 IN NUT SHELL 1 FOR LANDLINE STD’S CODES, AND 2 FOR MOBILE SUBSCRIBERS, THAT WE CALLED ACCESS CODES…. IN DIFFRENT PARTS OF ASIA, LIKE INDONESIA , THERE NUMBERING PATTERN IS IN 9,10,11 DIGITS EITHER EUROPE AND CHINA HAVE SAME…. The solution is good from the point of view of implementation and eventual Number poratbility across Mobile and Landline. What is necessary is the Inteconnect charges have to be rationalised so that call charges to any network / landline / mobile are the same accross the nation. With all the numbers looking the same the comsumer would not be sure what his call charge is going to be. TRAI should try to enforce this simultaneously. Majorities are getting priorities in commercial area, but not in democracy. As you say it is better to make the landline no’s 10 digit, rather than adding a digit to Mobile no’s. Again i dont feel there is much of a change wrt the switching system also. Only thing is it will be centralized throughout India, similar to how mobiles operate these days. Exactly, these changes will never affect the consumers, but its nice to see that 7 and 8 alone can increase the numbering resources by 2 billion. This would take a lot of maths to calculate!! I agree that it would be a big inconvenience to change 500M+ mobile numbers and that way changing landline numbers makes sense… but just thinking from a ‘brand building’ perspective having 11 digit where world has 10 would be a indicator that our economy is an order of magnitude bigger ! !